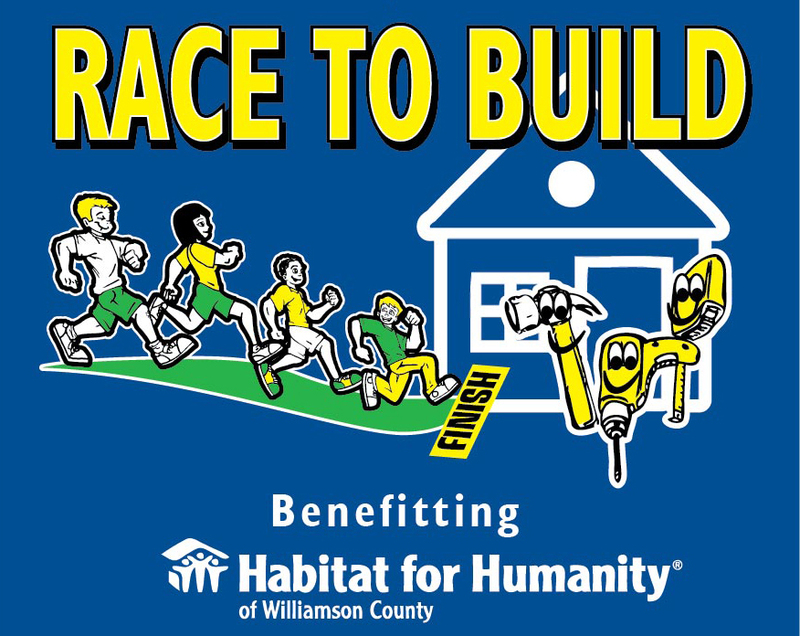 The Georgetown Running Club is hosting the Race to Build 10K/5K Trail Race that will start in WILCO Regional Park on Sunday, March 4, 2018. The 10K will start at 8:30am followed by the 5K at 8:45am. Challenge your family, friends, and co-workers to come out and run/walk the race. The race will start and end in the parking lot of the disc golf/trail entrance parking lot. The race will feature a timed 5K run/walk with age group awards, sponsor booths, and tons of fun! Challenging 10K course that is on the trails in WILCO Regional Park. The 5K course is an out and back trail race that is mostly flat. Due to the difficult terrain on the 10k course running strollers will NOT be allowed on the 10K course. This is for the safety of not only the person in the stroller but those on the course. 5K & 10K participants $35 online, includes a shirt (guaranteed shirt for entries received by 2/18, after that while sizes & supplies last). Entry fee increases to $40 on Feb 20th. Entry increases to $45 on race day, Mar 4th. All Georgetown Running Club members receive a $5 discount. Guaranteed shirt for entries received by 2/18, after that while supplies last, so register before 2/18. You must also pick up your shirt at packet pick-up. No shirts will be held after the event. Also would like to thank CarMax as they will be sending 15+ volunteers and in return we receive a $500 grant sponsorship, AdvoCare for the electrolyte replacement drinks, REI for awards and hosting our packet pick-up, Rentsch Brewery for awards and hosting our packet pick-up, and the Retreat at Wolf Ranch for water & bananas.